On another note, I have a new parking buddy at work! That really shows off how bloated modern cars have become. Good luck with the house hunt. This car needs an LSD in a bad way. I lit up the rears at 80kmh yesterday (not on snow). 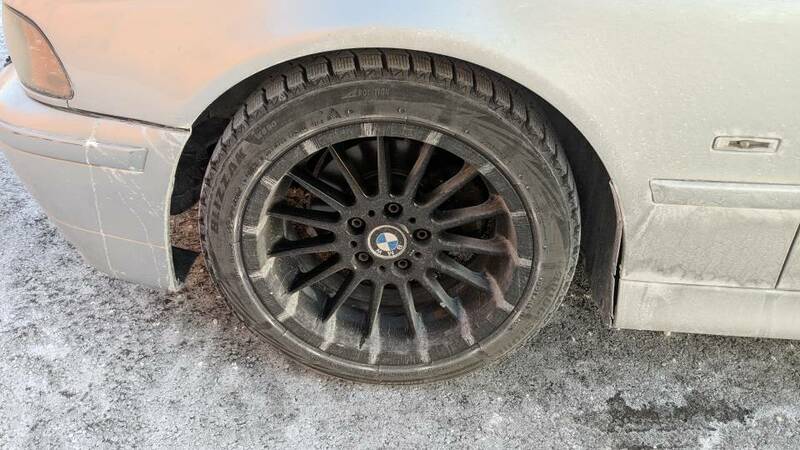 Also 350hp on 215mm-width snow tires with an open diff.... I rest my case. 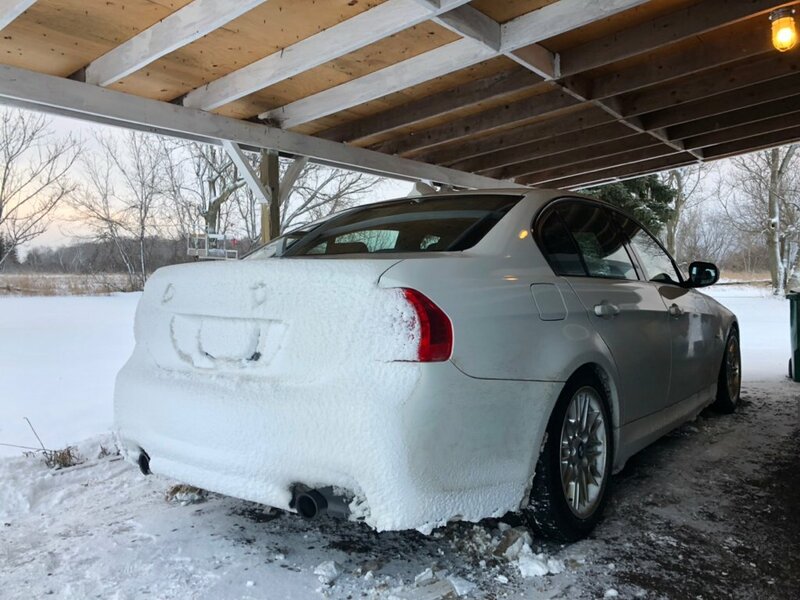 I think the only solution is an E90 M3. Kinda sad isn't it? 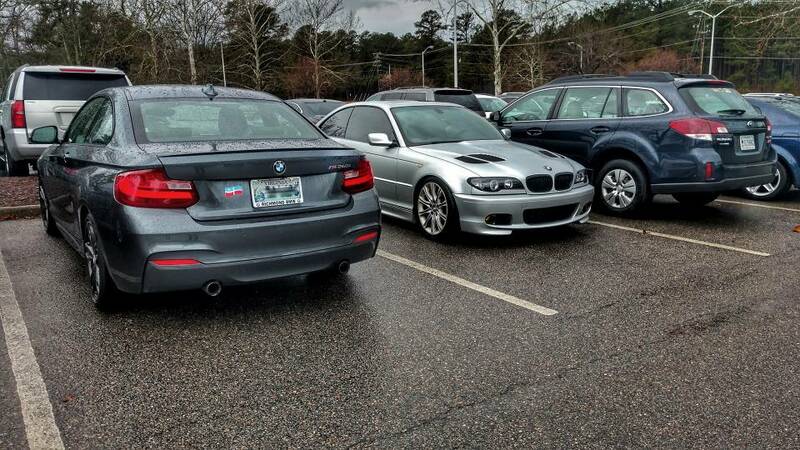 The ZHP is what I'd consider a reasonable size but it's dwarfed by most modern "small cars". I heard they've had schools closed for the past few days! I'm so excited to get up there and hate everything. LOL. yeah. kind of ridiculous as they actually cancelled busses monday and tuesday because it was TOO COLD. what? i think south-western BC would be perfect in the winter; nice 10ºC days, then drive 1-2hrs to the mountains and do some real wintery stuff. then come home and not have to deal with it. Snow collects in funny ways on this bumper. Frig. 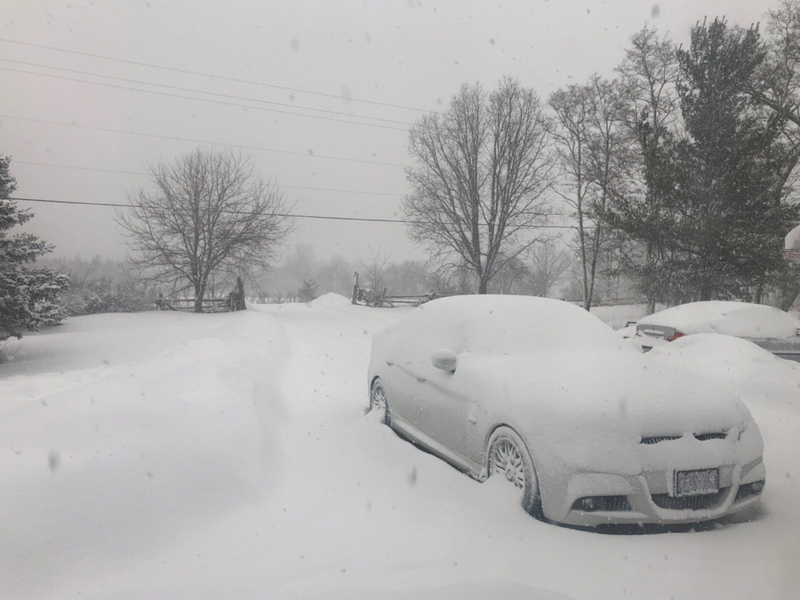 Getting a ton of snow that wasn’t supposed to be gotten. Not supposed to stop until tomorrow night. Ugh. 1. well, the crazy part is that it's sunny and beautiful everywhere else in southern ontario today, even 30min north of here on the mainland. it's just here. weird island ecosystem. but the forecast for next week when you're here is now supposed to be above freezing, so, hey, that's nice. 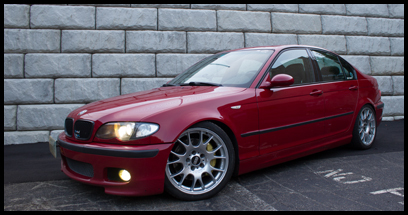 3. it's a TiAg 2003 330i M Sport, steptronic. it belongs to my friend john, and is here for repair of many things. no time to work on it lately. I will give salt one thing. It sure knows how to make cool looking patterns on wheels.